A Travel Document, issued by a Canadian Immigration Visa Office, may, in certain circumstances, serve the same purpose as a Canadian Permanent Resident Card. As a general rule for travel to Canada, all commercial carriers require Canadian Permanent Residents to show their Permanent Resident Card before boarding. Canadian Permanent Residents, who are outside of Canada, and not in possession of a Canadian Permanent Resident Card, may apply at a Canadian Immigration Visa Office for a Travel Document that will enable them to be transported back to Canada by a commercial carrier. Before issuing a Travel Document, the Canadian Immigration Visa Officer must be able to confirm, from the documents submitted, the identity of the applicant and that the applicant was once a Canadian Permanent Resident. 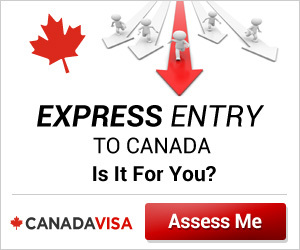 In addition, the Canadian Immigration Visa Officer must be satisfied that the applicant has complied with the residency obligations of Canadian Permanent Residents. Individuals, who can get to a Canadian Port of Entry, other than by commercial carrier, do not require a Travel Document or Canadian Permanent Resident Card.